Shri. 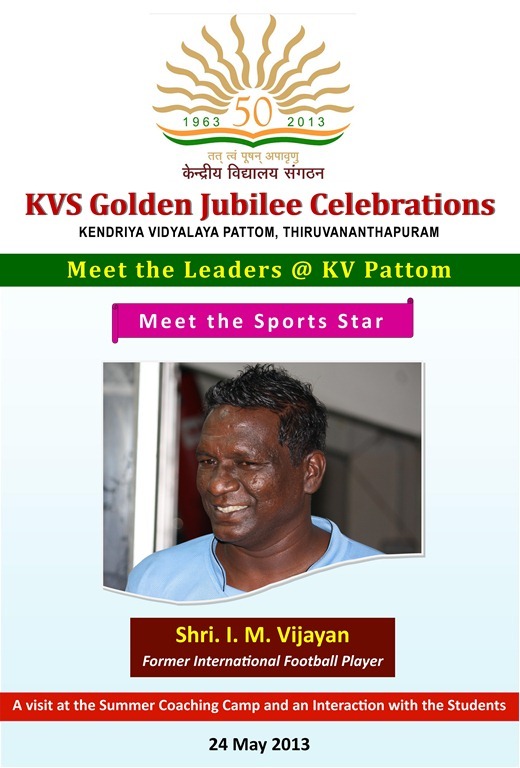 I. M. Vijayan, former International Football Player to visit the Summer Coaching Camp at KV Pattom on 24 May 2013 at 8.30 am. He will play and interact with the students.